Poor girl. 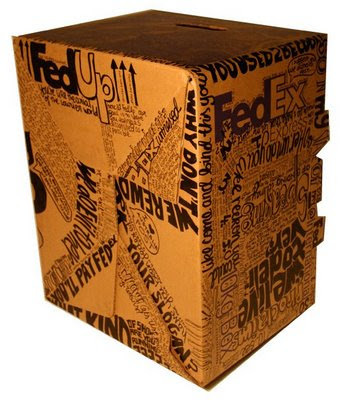 Hope Fed Ex does something nice for her. Chances are, they'll just deliver a restraining order. 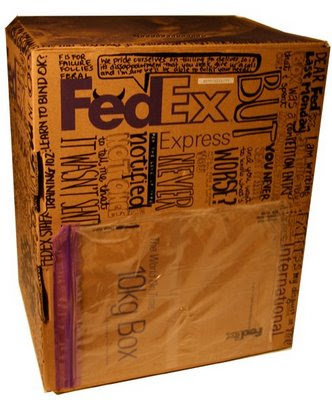 Last week FedEx failed to deliver my ISTD submission from Australia to London. They had my package in their store all week and failed to notify me that it had not been sent! 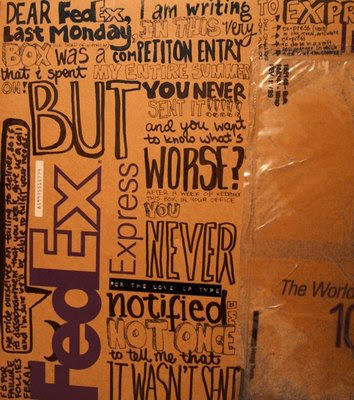 So, along with a letter of complaint, they will receive the box (which never got sent) covered with hand-drawn type expressing my anger. Typomania at its worst! It is certainly interesting for me to read the post. Thanks for it. I like such topics and anything connected to this matter. I would like to read a bit more soon.